Do you know what the changes in JCT contracts are? 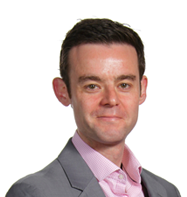 Find out about the latest amendments from JCT expert Adam Aston in his breakfast seminar. Along with a coffee and a bacon sandwich, Adam will serve up tips, guidance and practical advice on how you can make the most of the recent amendments. These seminars are presented in three locations, and will be particularly useful for employers, contractors, consultants and sub-contractors who regularly use or administer JCT contracts. This practical guide to the key changes is not to be missed. Breakfast and refreshments will be available from 8.00 a.m. followed by the seminar and questions. For further information please email Jack Birks or call 0191 211 7865.